Every year, the Emmy Awards purport to celebrate the best achievements in television. And this year, just like most years, I wondered why a show that is solely about Hollywood celebrating what it deems best is televised for the rest of us to watch. Other award shows like the Oscars or the Grammys at least have performances and distractions to break up the seemingly endless awarding of celebrities. Without them, it is even clearer to see the Hollywood biases at work. From category to category, nominees came from almost always the same productions. And it makes it seem like only certain productions (like VEEP, Transparent, Master of None, Silicon Valley, and The People vs. O.J. Simpson: American Crime Story) are valuable. Throw in a nomination or two for Kerry Washington, Viola Davis, or black-ish and you’ve got the semblance of inclusion. But heavily nominating just a short list of shows makes no sense now that television has more outlets than it has ever had. With the advent of cable and streaming, the nominating pool is like an expansive ocean. And there is good work being done everywhere. I refuse to believe that 5-6 shows were just that good that they deserved to dominate all the categories. It flies in the face of logic, and speaks directly to Hollywood’s “cool kid” syndrome. Just like almost every school election, these awards weren’t about truly honoring the best work; it was a glorified popularity contest. In what had to be one of the most jaw-dropping moments of the evening, the show returned from a commercial break with the announcer welcoming 4-time Emmy winner Bill Cosby to the stage. The camera panned around the audience to show how confused the celebrities were. And after about 15 seconds of waiting, Jimmy Kimmel took to the stage to say “I just wanted to see what you guys would do.” Funny, right? Because the allegations that a high profile celebrity preyed on women by asserting his power and giving them drugs for years is a topic that we can all laugh at, right? If you’re going to go for crass, irreverent humor, the jokes better be damn funny. And for Jimmy Kimmel, he succeeded in the former but not the latter. 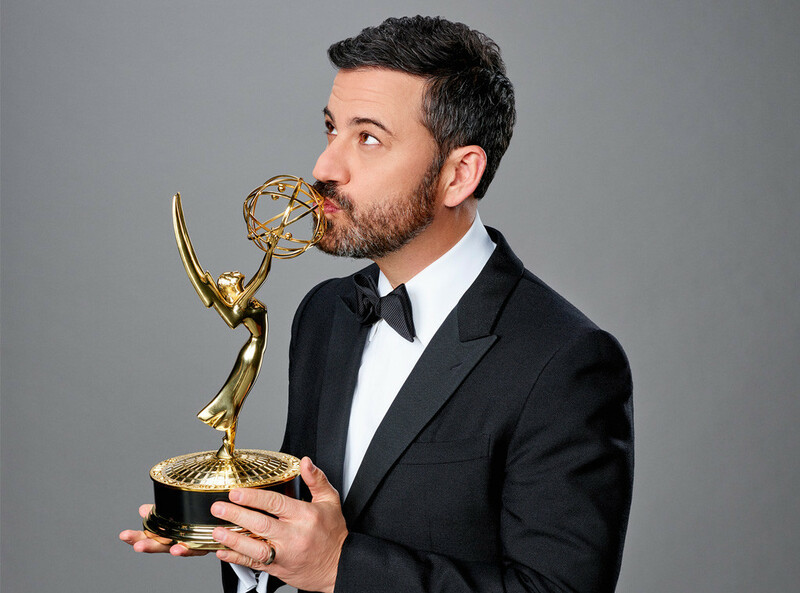 In response to the deluge of wins American Crime Story won in the miniseries category, Kimmel made the joke, “I like to believe that somewhere Johnny Cochrane is smiling up at us tonight.” On a night where a miniseries chronicling the O.J. Simpson case raked in awards, there were plenty of case-related jokes that would have landed. But speaking ill of a deceased person just came off as wrong. I’ve been feeling some kinda way about Amazon’s series Transparent since it debuted. Something about having a cis man play a trans woman has always felt wrong. And the series of awards the show won fed right into my issues with that until lead actor Jeffrey Tambor implored for Hollywood to give trans talent a chance, saying he wouldn’t be unhappy if he was the last cis person to play a trans person. But then Jimmy Kimmel went and ruined it all with a joke about the show. Speaking about the strangeness of having Transparent in the Comedy category, he attempted to ease everyone’s confusion by joking “it was born a drama but identifies as a comedy”. This simpleton joke makes light of the stigmas Trans folx have to deal with their entire lives while also pulling right from the “born a man/woman” type of thinking that fundamentally seeks to discredit their own identities. Amazing how he could disrespect the Trans community so easily during a show that went out of its way to honor Trans lives. Every year around awards season, the country looks to these shows to see if any real progress is being made. And every year the results are inconclusive. The Emmys clearly tried to at least appear to be a better awards show, but why deny who you are? Previous story I Might Be ‘With Her’ For Now….